Can y’all believe we’re already through the first two weeks of NaNoWriMo? 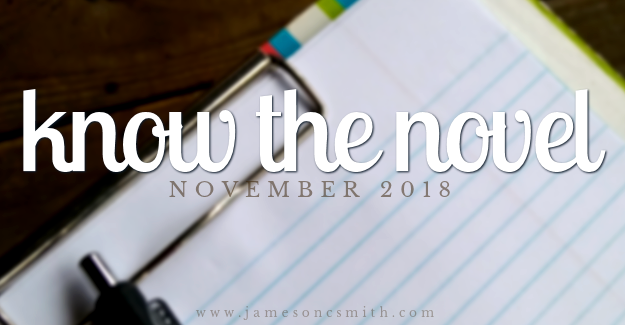 How are your novels and projects coming along this month? NaNo has been going well so far and has been so much fun. My characters are running around in snowy landscapes and gray palaces and getting into some interesting situations and conflicts. I LOVE IT. But now, onward to the linkup questions! 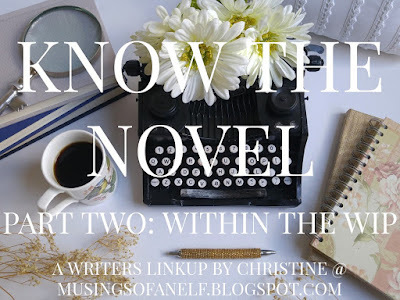 Know the Novel is a three-part linkup geared towards NaNoWriMo! To find out more and join the fun, check out Musings of an Elf! Pretty well, most of the time. I’m past 30,000 words and trying to stay a little ahead of each daily goal when I can. What’s been the most fun aspect about writing this novel so far? The characters! I love the conflict between Aveirna and Tealdyn, and that’s been really fun to explore. Has your novel surprised you in any way? So far, no. But NaNo—and this draft—are unfinished, so there’s still time! What do you think of your characters at this point? Who’s your favorite to write about? I love them. They’re flawed and sometimes difficult, but also really fun. I really like writing Aveirna and Tealdyn, but I’ve also really enjoyed writing Reyn. He’s super fluffy and sweet, and just enjoys looking out for people. If you were transported into your novel and became any one of the characters, which one do you think you’d be? Would you take any different actions than they have? They all have reasons for why it would be fun to switch places with them, but I’m really not sure who I’d be? Give us the first sentence or paragraph and then 2 (or 3!) more favorite snippets! The swoosh of water lapping against ship hulls echoed in a steady telling of the tide and the restless waves dancing across the moonlit sea. He was silent, lips pressed in a thin line. Have you come across any problem areas? The beginning doesn’t have the same spark as the first draft’s so I’m already wondering if I’ll need to make it more similar to that later, but that’s really the only major thing standing out at the moment. What’s been your biggest victory with writing this novel at this point? Probably writing every day so far this month, even if it’s under the word count goal I wanted to meet each day. I’d love to write every day this month, even if it’s just a couple hundred words, but we’ll see how it works out. Be honest, have you killed any characters off yet? So far, all the character deaths occur pre-story, except for some minor, off-screen characters. I can almost hear all my characters saying this though. O_o Oops. Take us on a tour of a what a normal writing day for this particular novel has looked like. Where do you write? What time of day? Alone or with others? Is a lot of coffee (or some other drink) consumed? Do you light candles? Play music? Get distracted by social media (*cough, cough*)? Tell all! I’ve been writing mostly in the mornings when I can, so on those days I wake up early and try to start writing for at least an hour or until I get to 500-1,000 words (depending on how the writing is going), then break for a while to work on other tasks and things I may need to do throughout the day. I try to write again at night before I go to bed. So far, I’ve consumed several pumpkin spice lattes, some peppermint tea, and hot chocolate. Sometimes, I write at the dining room table, with the curtains open to let in the sunlight or to watch the rain. When writing at my desk, I open the curtains over the window beside my desk, turn on the white and pink lights over my writing space, and write. I’m usually listening to the writing playlist I made for Unto Ash or something instrumental. How’s NaNo going? 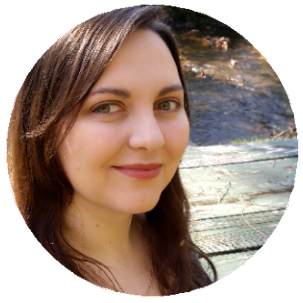 Is your WIP going according to plan or being rebellious? I'm SO happy to hear writing is going well for you!!! And you're doing AWESOME! 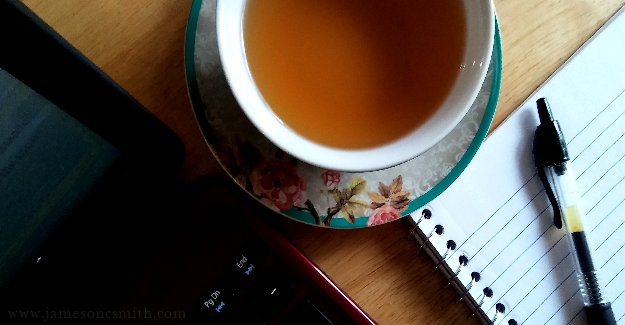 Writing every day, keeping over the wordcount, making time for writing first thing every morning--GO YOU! I loved the snippets! All your characters sound like a blast! 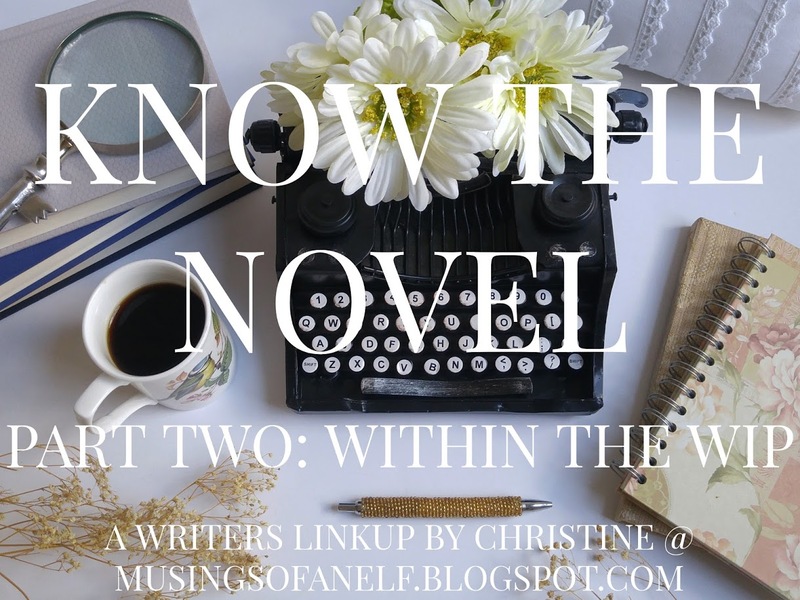 Thank you for joining the linkup! :D I do hope the rest of NaNo goes AMAZING. You've totally got this! Thanks! It would be nice if I can keep up with these NaNo habits after November, but we'll see how things work out with the holidays and everything coming up! Ooh, I love your snippets! And your character names are awesome, too. I especially like Tealdyn and Reyn. Thank you so much! They're names were fun to discover (even if it did take a while, hehe)!